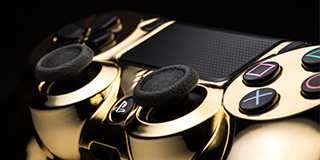 For the first time ever, ColorWare brings you the most desirable finishing technique on the market—24k Gold. 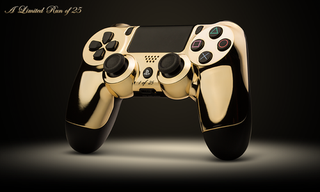 Using this finish they created a 24k Gold plated DualShock 4 controller. 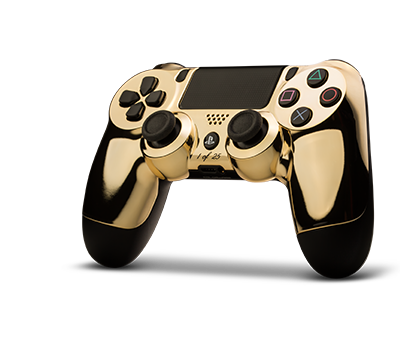 The extraordinary new 24k Gold DualShock 4 controller undergoes a complex process to achieve a rich, glossy finish. The controller itself has a highly sensitive six-axis sensor and touch pad that provides you with a whole new method of gaming interaction. It also features improved dual analog sticks and trigger buttons for greater control.